Heartwarming! A sweet & feisty reunion story. Great characters, a heart-tugging story line, and a race against time to get a happy ending. Really enjoyed this book! NASCAR phenomenon Nick Fortune is living the life! A successful career, on the verge of breaking a huge industry record, a great group that’s like family surrounding him for the ride. To say he’s shocked to get a message from his old high school girlfriend after all of these years is putting it mildly, but when he doesn’t get a response when he tries to return her call, he heads that way to track her down. Hope Thompson was heartbroken all those years ago, but she went on to pick up the pieces and carry on the best she knew how. 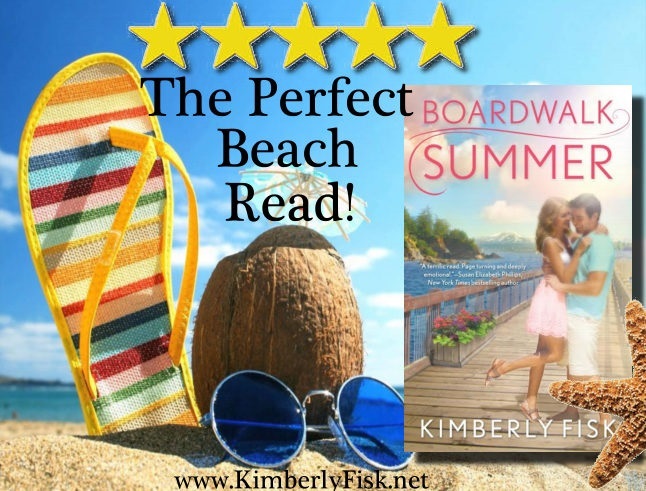 She has lived a happy life … but her son needs help, and Nick might be the only one that can give it … he just never knew she had been pregnant and that he’s been a father! Can Nick forgive her from keeping this huge secret from him? Will they be able to overcome the anger and hurt to rally around their son? The phone felt heavy in Hope Thompson’s hand. She traced the buttons, unconsciously pausing at the numbers that would soon connect her to a voice she hadn’t heard in nearly sixteen years. She thought about shutting herself away in a closet. Maybe then, if she was hidden with only darkness surrounding her, this call wouldn’t be so hard to make. But Hope knew darkness did not shut out memories—if anything, it enhanced them, becoming a large ebony canvas that allowed them to play over and over in her mind until sleep was impossible. She reached for her cup of tea on the end table next to the sofa and took a sip. It was cold. She was halfway off the couch to reheat it before she stopped. Stalling. That was what she was doing. She sat back down, grabbed the phone, and dialed quickly before she lost her nerve. After so many years, there should have been a thousand things they had to say to each other. A million tiny details that had filled their lives and the lives of the two grandchildren her mother had never wanted to meet. Instead, Hope didn’t know where to begin—what to say. Should she start with: Your grandchildren’s names are Joshua and Susan, and they are bright and beautiful and make me so proud every day. Or: They will be sixteen in a few months, and they can’t wait to get their drivers’ licenses. Joshua loves football, music, and cars. He has his first steady girlfriend, and I don’t know if that makes me happy or scared. And Susan. She’s everything I wish I could be. She’s confident and smart and funny. She was elected class president, and captain of her soccer team for the second year in a row. But Hope knew what she should tell her mom was the complete truth: My whole life is about to fall apart for the second time and this time I need you. We need you. Please don’t send us away again. You keep that baby, Hope Marie, and something bad will happen. You just wait and see. Should have named you Hopeless because that’s what you are—hopeless. Hope wasn’t seventeen anymore; this time she wasn’t going to let her mother refuse to help. Hope swallowed, praying the bitter taste in the back of her throat would go away. “Susan and I aren’t a match.” Did her mother really think Hope wouldn’t have explored every other option before contacting her? Her mother could ignore Hope all she wanted. She could continue to pretend to her church friends that her only child hadn’t gotten pregnant at seventeen but instead had graduated early and received a full scholarship to some college far, far away. She could go on living that lie, but if she thought for one moment Hope would let her refuse to help her grandson, she was mistaken. Hope sighed tiredly. “I thought you might feel that way. Joshua’s doctor gave me the name and number of a colleague in St. Paul. Call him, please, and set up an appointment as soon as you can. I will arrange for a taxi to take you.” Hope gave her mother the doctor’s name and telephone number. Hope had no idea where she’d come up with the money, but she’d find it somehow. A heartbeat of silence filled the air. And then another. Enough time to say I’ve missed you or I love you. The other end of the phone disconnected before Hope could finish. 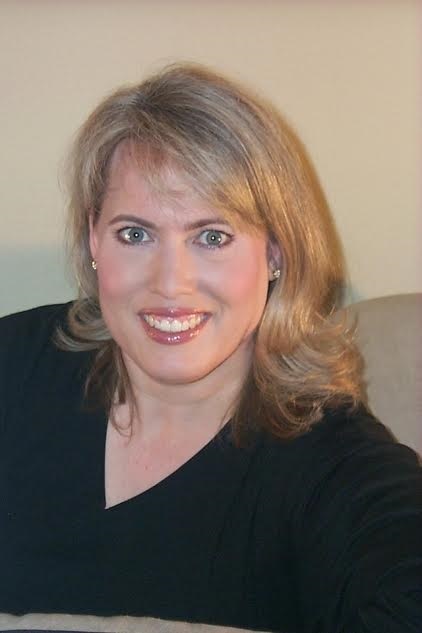 A past recipient of Romance Writers of America’s prestigious Golden Heart Award, Kimberly Fisk is the bestselling author of Lake Magic. She lives in the Pacific Northwest with her husband, three children, and too many four-legged critters to count. 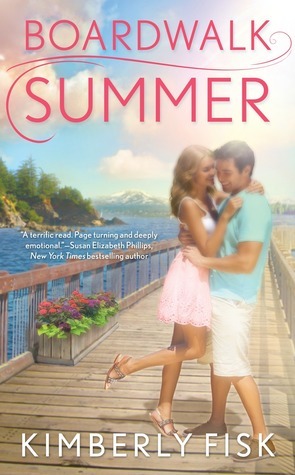 Her latest book is the contemporary romance, Boardwalk Summer.